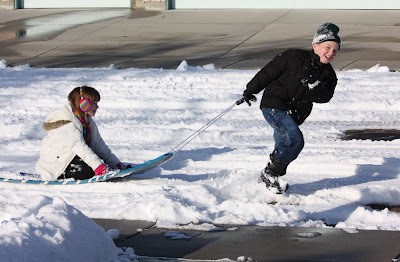 The neighbor boy pulling my daughter on a sled before our snow turned to soup because of rain. Haha. I didn't see the second half of your comment coming. I expected they were coming in for warm chicken soup after their fun. Your daughter is adorable, BD. Kids see only the best side of snow, how blame them?